Talked to your travel agent lately? NO????? Young and Rubicam (at the time, one of the largest marketing companies in the world) wanted to determine what characteristics were necessary to create a good brand (or in many respects, a successful business). Their report cited four key elements: Recognition, Reputation, Relevance, and Differentiation. As an industry, real estate certainly doesn’t have a recognition problem. With over 3 million folks possessing a real estate license and almost 1.3 million active Realtors, it would be difficult to spit out your car window without hitting a real estate agent – everybody knows one (or two or three…). Believe it or not, we have a good reputation as well. While our profession is not the most highly respected, the individual Realtor has pleased their clientele, created some semblance of value and is held in high regard by those whom he or she has served. Where we fall into trouble is in the categories of relevance and differentiation. Consumers, or civilians as I like to call them, don’t believe that we can relate to what they want and need AND they think we’re all the same. Please read that one more time: they don’t believe that we can relate to what they want and need AND they think we’re all the same. We, as a profession, didn’t just get to this position yesterday. It’s taken time. As a result, this twofold dilemma (or as I named it in class – the duelemma) won’t be a ship easily turned. The world has changed as well as those in it. Yesterday’s skills may not be relevant to today’s consumer. We need to get our ears to the ground, pay attention to the trends and people, and examine businesses which are succeeding in today’s world (as well as some that have failed). See who is relevant and how they’ve gotten that way and utilize their template to help us design our own plan for survival. Success leaves bread crumbs. Areas of focus? Here’s 8! 1) Becoming more consumer centric in general (brushing up on your counseling skills – being a good listener – making their lives EASIER) 2) Usability of the web and be able to respond to the online consumer in real time 3) creating a consumer oriented, individualized, customer service model (how does the Ritz Carlton make us all feel so special?) 4) presentations based on focused, customized client needs rather than a one size fits all approach 5) developing superior negotiating skills 6) recognizing that “connecting” with people means something completely different than it meant 1,5 or 10 years ago 7) embracing a communication protocol that can be customized generationaly (is that a word?) and 8) understanding the importance of specific expertise in this time of mass media misinformation. And I’m sure there is more…. 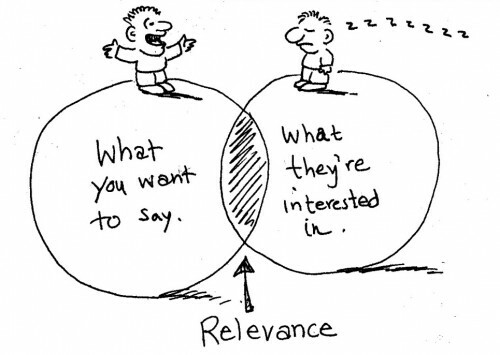 As far as differentiation goes, I will say this: in relevance, there is differentiation. 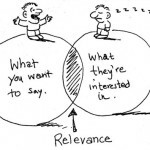 Do what you can do to be relevant to a particular consumer and you WILL stand out from the others in our business. There are businesses that missed this train because they either couldn’t or didn’t adapt. Let’s not be one of them. This entry was posted in Business Planning, Customer Service, Learning, Marketing, My BLOG, Observations, Sales, Working with Buyers, Working with Sellers. Bookmark the permalink. ← Houses: Product or Commodity?